This section provides information about our community including area churches, the town library, community festivals and more. Take time to peruse the information below and see how much hometown fun our city has to offer! The Community Center is located at 200 Schuman Street and is available for private use by reservation. 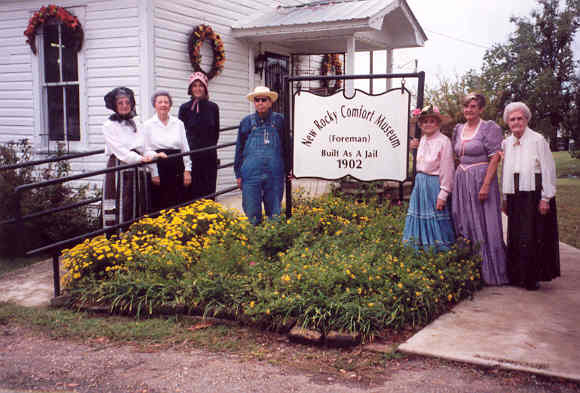 It is often used for family reunions, class reunions, various indoor activities and town get-togethers such as the monthly City Council meetings. The facility is fully heated and cooled and furnished with a full kitchen and folding tables and chairs. To reserve the center, please contact Foreman City Hall at (870) 542-6234 or (870) 542-7434. Foreman is proud to support a fully stocked and staffed public library complete with a large selection of titles in various genres as well as periodicals. Guests enjoy a clean, quite atmosphere with freely available reading materials of every kind. The library is affiliated with the Southwest Regional Library Association. In addition to various events throughout the year, the library staff prides itself on an excellent children’s section and yearly kid’s summer reading programs. The programs are available to all children, classes, preschool and other groups. Inter-library loan- For materials not immediately on hand. Computer/Internet- Computers with filtered internet access are available on a first-come, first-served basis with a use limit of 30 minutes if other patrons are waiting. Open Monday through Friday 8:30 am to 5:00 pm, the library offers something for everyone. Visit Foreman’s library today to see what we have for you! Foreman is home to an array of organizations dedicated to various causes and activities. From volunteer groups devoted to helping people in need to hobbyist clubs dedicated to the enjoyment of lifes simplest diversions, folks around here stay busy. And it shows! Below are some of our more popular organizations. Mike Cranford PO Box 209 Foreman, AR 71836 (903) 826-3318. While you’re in town, be sure to take time to stroll through Foreman’s downtown, where there’s no fast lane and window shopping is a local pastime. Tucked in the middle of Little River County, this little haven is full of history. Every shop has a story all its own, and the record of Foreman’s past is preserved in each one of the buildings that line the streets. Meander through the old shops that have been around since long ago and experience the kind of warm, friendly folks and relaxed atmosphere that you’ll never find at a big box retailer. No fighting traffic. No crowds or loud music. No pushy salespeople. And no gimmicks guaranteed to make you buy something. Just the simple, hard-working men and women that call Foreman’s main street home. Spend a day downtown. The only thing we guarantee you’ll go home with is a smile! Foreman… discover a simpler life! Built in Foreman in 1902 as a jailhouse using the “stacked board” method of construction, this museum is full of local history and artifacts. The museum housed in the old jail (whose first inmate was the man who built it), memorializes local events, families and characters. Stop by sometime and learn a little about our history. The museum is located at 3rd & Schuman. For more information call 870-542-7887.